Menu: Homemade ice cream, milkshakes, hamburgers, hot dogs, barbecue, cheesesteaks, subs and French fries. Hours: 11 a.m.-9 p.m. daily (weather permitting). Menu: Soft-serve ice cream and desserts, plus cheesesteaks, subs, burgers and French fries. Hours: Monday-Thursday, 11 a.m.-9 p.m. Friday & Saturday, 11 a.m.-10 p.m. Closed Sundays. Menu: Farm-fresh, hand-crafted ice cream, custom milk shakes, affogato, custom floats and café drinks. Lunch menu, too. Market: Fox Meadows pints and half gallons, homemade bread and whoopie pies, and other locally made products. Menu: Soft-serve ice cream and desserts, plus hamburgers, hot dogs, soups, sandwiches, barbecue and French fries. Menu: Hand-dipped ice cream, shakes, sundaes, hamburgers, hot dogs, wings, fried mushrooms, nachos and no-filler crab cakes. Hours: Tuesday-Thursday, 11 a.m.-8 p.m. Friday & Saturday, 11 a.m.-9 p.m. Sunday, 12-8 p.m. Closed Mondays. Menu: Hand-made ice cream, cakes, cupcakes and treats, such as Cookies & Cream Ice Cream Pie and Peanut Butter Ice Cream Pie, gourmet chocolate-covered apples, chocolate-covered bananas, chocolate tacos and more. Menu: Italian ice, hand-dipped ice cream, three soft-serve options (all made by owner), sundaes, Flurry blended desserts, floats, milkshakes, Italian-ice shakes, ice-cream coffee drinks, ice-cream sandwiches, chocolate-covered frozen bananas and funnel cakes. Menu: Hand-dipped ice cream, frozen yogurt and desserts. Hours: Monday-Saturday, 10 a.m.-4:30 p.m. Closed Sundays. Menu: Hand-dipped ice cream, natural yogurt, locally made cheeses, homemade PA Dutch-styled pies, maple syrup, pickles, relish, jam and coffee. Menu: Homemade ice cream and waffle cones, milkshakes, frozen-coffee beverage, sundaes, milk, local cheeses, eggs, popcorn and other snacks. Hours: Monday-Saturday, 11 a.m.-9 p.m. Menu: Hand-dipped ice cream, Italian ice and desserts, plus soups, sandwiches, salads, wraps and appetizers. Hours: Monday-Friday, 12-9 p.m.; Saturday-Sunday, 1-9 p.m. Menu: Hand-dipped ice cream and desserts. Hours: Monday-Friday, 7 a.m.-9 p.m.; Saturday 7 a.m.-6 p.m. Menu: Hand-dipped ice cream, waffle cones made fresh to order, banana splits, sundaes, milkshakes, groceries (produce, bread, bulk ingredients, candy, deli meats and cheeses, pre-made sandwiches, snacks and beverages). Hours: Monday-Sunday, 11 a.m.-8 p.m. Menu: Hand-dipped ice cream (homemade) and desserts. Hours: Tuesday-Thursday & Sunday, 4-8 p.m. Friday & Saturday, 4-9 p.m. Closed Mondays. Menu: Locally made Carmen & David’s hand-dipped ice cream. Hours: Monday-Friday, 7 a.m.-9 p.m.; Saturday, 8 a.m.-9 p.m. Menu: Hand-dipped ice cream (homemade), frozen yogurt, sherbet and desserts. Hours: Monday-Thursday, 11 a.m.-10 p.m. Friday & Saturday, 11 a.m.-11 p.m. Closed Sundays. Menu: Fresh cream and lactose-free milk from local distributors comprise the creamery’s ice cream base, made fresh in-house. The creamery also serves New Holland Coffee Company coffee. Hours: Sunday-Thursday, 11 a.m.-9 p.m.; Friday & Saturday, 11 a.m.-10 p.m. 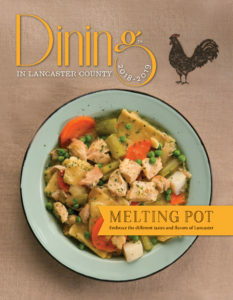 Menu: Hand-dipped ice cream and desserts, plus soups, sandwiches, burgers, wraps and cheesesteaks. Hours: Monday-Saturday, 11 a.m.-10 p.m. and Sunday, 12-10 p.m. (Quarryville); 12-9 p.m. daily (East Petersburg). Menu: Homemade ice cream (soft-serve and hand-dipped), Italian ice and desserts, plus hamburgers, hoagies, hot dogs, cheesesteaks and fish sandwiches. Hours: Sunday-Thursday, 12-9 p.m.; Friday & Saturday, 12-10 p.m. Menu: Hand-dipped ice cream, Italian ice, sorbet, sherbet and desserts, plus hot and cold café-style food. Hours: Monday & Tuesday Closed; Wednesday-Friday, 11 a.m.-5 p.m.; Saturday, 10 a.m.-5 p.m.; Sunday, 12-5 p.m. Menu: Homemade ice cream and waffle cones, deli menu, fudge, candy, caramel apples and peanut butter (made on-site). Hours: Open Memorial Day Weekend through Labor Day. Call for hours. Menu: Ice cream specialties, such as Jigger “Our Specialty”, banana split, strawberry shortcake, banana fudge royal, baked Alaska, beignet & fireside s’mores sundaes. Lunch and dinner menus include soups, salads, wraps, sandwiches, sides, fryer items and kids’ favorites. Hours: Tuesday-Thursday, 11 a.m.-9 p.m. Friday-Sunday, 11 a.m.-10 p.m. Hours: Monday-Thursday & Saturday, 5:30 a.m.-9 p.m.; Friday., 5:30 a.m.-10 p.m.; Sunday, 2-9 p.m. 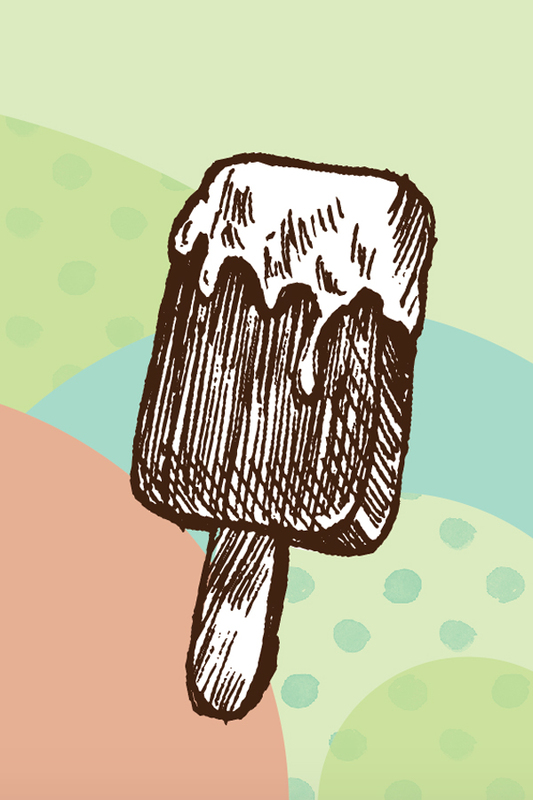 Menu: Hand-dipped ice cream (homemade), family-friendly dishes for breakfast, lunch and dinner. Hours: Monday-Thursday & Sunday, 10:30 a.m.-8 p.m. and Friday & Saturday, 10:30 a.m.-9 p.m. (Manheim); Wednesday-Saturday, 11 a.m.-9 p.m. and Sunday, 12-9 p.m. (Elizabethtown). Menu: Soft-service ice cream and desserts, plus burgers, barbecue, chicken pot pie and soups. Café 24 Hundred | A Christmas Buffet and More!